Here are more interview questions to ask employers. Making a good impression in an interview means answering the employer’s questions well. Asking good questions will get you hired! Last time I offered 20 interview questions to ask employers. I added ten (10) more just to increase your chances. What are the challenges, opportunities, and problems of the department? What are the plans for future growth? How will that growth change the department or organization? Do you have interdepartmental or cross functional assignments? The goal of any interview is to get an offer. Preparation for an interview requires a lot of work. You need to prepare for all the possible questions the employer may ask you. They may ask you questions such as why you left or why you want to leave your last employer. Some of these questions may be uncomfortable or difficult for you. Employers want to see how you answer these questions and how you react to other questions. If you do well with those questions, your questions for them will cinch it. You need to learn enough about the company to make a decision. Your decision is important! It can mean the difference of a successful career or leaving after a short time. Research the company and its reputation in the industry because it will be on your resume. The reputation will follow you wherever you go. Is the reputation good? Do they treat the employees well? Will the company and experience enhance your resume? These are just some of the things you should think about before you accept an offer. Working for companies that have name recognition in your industry is important! Many of those well known names have great training programs or only hire the best people. It is not only good to have it on your resume, but in your background. Many CEOs of Fortune 500 firms spent time at GE, Proctor & Gamble, or IBM. These are just a few of the well known companies that attract, train and nurture future leaders. You may want to be one of them! 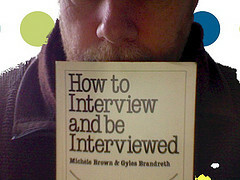 More interview questions to ask employers will get the job offer. These are good questions. They will show a potential employer that you are serious about wanting to succeed within the company. Absolutely! Interviews are opportunities to impress an employer and find the right company for the candidate as well. I’ve got an upcoming post planned that would lead me to some other questions, specifically getting more information about who the manager will be and the style of that manager. There are many more questions including management style which should be included too. Great questions to ask , an interview should be for both the company and potential employee to learn more about each other. The potential employee has to make sure the company is the right place to work. Very true, It is very important to find out about the company and much more. Part of the candidate’s success is dependent on the company’s environment. Excellent questions. These days of unemployment people often think in terms of ‘will they hire me’ – or worse ‘please hire me’ rather than ‘do I want to work for this company?’. Very true, any offer in this environment is better than nothing syndrome is very short sighted. Too true. You need to show your knowledge and interest to the interviewers – but without overwhelming them with too many questions. Go in prepared, but be ready to listen to the responses before trying to move through the rest of your questions! I’m always a little surprised/disappointed when a candidate doesn’t have any questions prepared ahead of time. A little preparation can pay such huge dividends. The real test is the followup questions! It would really show the employer how the person thinks. Absolutely, the followup questions can really show your interest level and how you think! I agree with 101. A candidate should have a list of things they want to know. It shows they are sincerely interested in the job. Not only does it show you are interested, but it will reveal a lot of information about he company. It should allow you to make a better decsion! I’ve had several people that work in HR tell me that questions at the end of an interview, and the “get to know you/doesn’t really count” chit chat at the beginning are by far the most overlooked parts of an interview. Thanks for more solid tips! I always felt that the candidates who made a connection with the interviewer were the successful ones. I think if you make the connection the questions will help nail the interview. It’s so important to come prepared with a few questions to ask during an interview. I think it’s also key to be aware of the other person’s time because asking a whole list of questions can take a lot of time, especially if there are multiple interview rounds. You should pick you most important questions and ask if he/she has time to answer them. Nice little resource for anyone about to go for an interview. I work in the HR field and I think I’m still terrible at interviews. It is something you generally don’t practice a lot, but if you can do it well, it can make a big difference not only to your chances of getting the job, but also your chances of getting more money. Asking solid questions really helps build more confidence in your ability. I think it helps to nail the interview! I like the first question: “What are the challenges, opportunities, and problems of the department?” Had I asked that question before taking one of my previous jobs (and got an honest answer), I may have decided against the job or been better prepared. I like that you highlight this important issue KC. I’ve seen too many applicants that appear to have had frontal lobotomies, and fail to engage. Connecting with the interviewer is key. After all employers hire people they like. You can impress the interviewer with good questions. 20/20 hindsight is always clearer! The more open ended questions you can ask the better the insight. Employers do it all the time. This is your opportunity to evaluate the company. In my opinion, being able to answer interviewer question is far more important thank asking good questions. As a hiring manager, I put most of the emphasis on how the interviewer answers the questions. I rarely pay much attention to what types of questions they ask. I find the best people out there do not ask much questions. I view candidate questions as the way to nail the interview! It shows how interested they are and reveals what they may feel is important. I look at the questions as insight in the candidate’s thinking. A lot depends on the opening too. Great questions. I’ve never been on the other end, but my guess is they would appreciate an intelligent applicant who can express themselves and ask intelligent questions. Nailing it is the key, after a good main interview. If this is the meat of the interview, to cover weaknesses to do the job, seeya! In most cases, particularly in this economy I think anything that may distinguish you between another candidate is a plus. Also, it is a great opportunity to learn more about the company. Great point that the candidate needs to have something to ask the employer too, otherwise it doesn’t seem like they care/are interested in the position (which is probably true if they really have nothing to ask). This also a good opportunity for the candidate to learn about the company. Interviews are a two way street, employers learn about the candidate and he/she learns about the company. Great questions. I like your point about strong training programs. It is imperative that you get with a company that invests in your future. YOu never know when you have to apply for another job. One of my first career positions taught me so much about financial modeling (before spreadsheets), budgeting, strategic planning and financial analysis. I used those skills throughout my career and personal life.